Proof-of-age cards: Drivers' licenses display too much personal info to use at a bar. Getting a pint shouldn’t require you to reveal whether you wear corrective lenses. “I need to see your license.” These words are familiar to anyone who has ever entered a nightclub, gambled in a casino, or purchased alcohol or tobacco in their 20s or 30s. At first glance, the request isn’t unreasonable—just about everyone has a driver’s license or (for non-drivers) state ID card, it only takes seconds to comply, and in many, though not all, cases, it’s the law. But a driver’s license or state ID card contains a wealth of private information. In addition to full name, date of birth, signature, and photograph, licenses and state ID cards typically bear one’s home address, eye color, gender, and height. Some states go beyond that, including natural hair color, weight, Social Security number, and fingerprints (the latter two being stored in the license or state ID’s barcode). * Licenses may also reveal whether one wears contact lenses, has a medical condition, is registered as an organ donor, or relies on hearing aids, mechanical aids or prosthetics. None of these private details are necessary to verify one’s age. Not only does this additional information not serve any useful function here—it could make you more vulnerable to criminals. Of course, the vast majority of store workers and doorkeepers are honest, law-abiding citizens. But even a few bad actors can cause a widespread impact. Employees at respected national chains have been caught allegedly using stolen identity information to access victims’ bank accounts, open new credit cards, and purchase expensive goods. Misuse of driver’s license information has also enabled or facilitated crimes from stalking and harassment to murder, resulting in legislative efforts at both the state and federal levels to restrict the disclosure of such information. Advancing technology has only amplified these risks. Tiny cameras can capture high-resolution images of ID cards quickly and discreetly. Barcode readers, often used by stores and nightclubs under the pretext of detecting fake IDs, can be even more effective, directly extracting driver’s license information in a plain text format. Once this information is obtained, it can be stored indefinitely in private databases, where it can be analyzed, shared, and used at will for any purpose—or sold to the highest bidder. 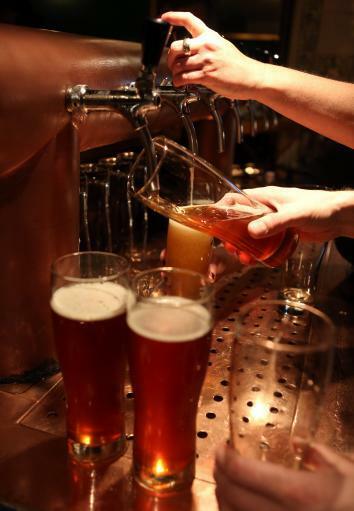 The good news for anyone who just wants to get a beer at a bar is that there is a simple solution, one that has already been implemented successfully in other jurisdictions. For example, Western Australia, a large state that occupies the entire western third of Australia, issues a “proof of age card” that “shows only those details considered necessary for identification”—namely, full name, date of birth, signature and photograph. “For security reasons,” as the state government explains, no other personal details, such as home address, are shown on the card. Other jurisdictions offering similar proof or evidence of age cards include Ireland, the Isle of Man, New Zealand, the United Kingdom, the Australian jurisdictions of Queensland and Northern Territory, and the Canadian province of Ontario. Because ordering a rum and Coke shouldn’t mean risking identity theft—or letting the bartender know how much weight you’ve gained since last renewing your license. *Update, April 7, 2014: This post has been updated to clarify that some information is stored in the driver’s license or state ID barcode, rather than printed on the license or ID.